1. 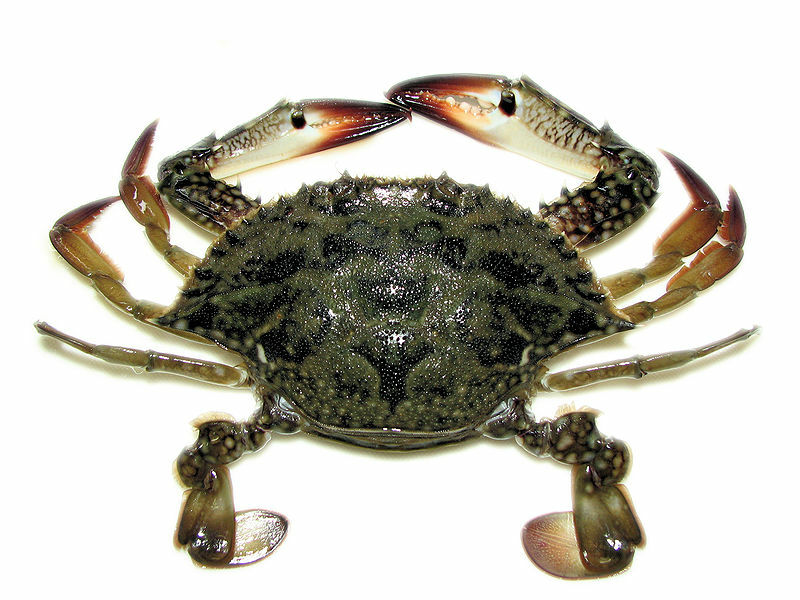 Portunus trituberculatus - The most widely fished species of crab in the world. of those around 23 are commonly considered edible. Crabs 1 through 8 are the worlds most fished crabs. farmed, and consumed worldwide, amounting to 1½ million tonnes annually. One species, Portunus trituberculatus, pictured above, accounts for one fifth of that total. 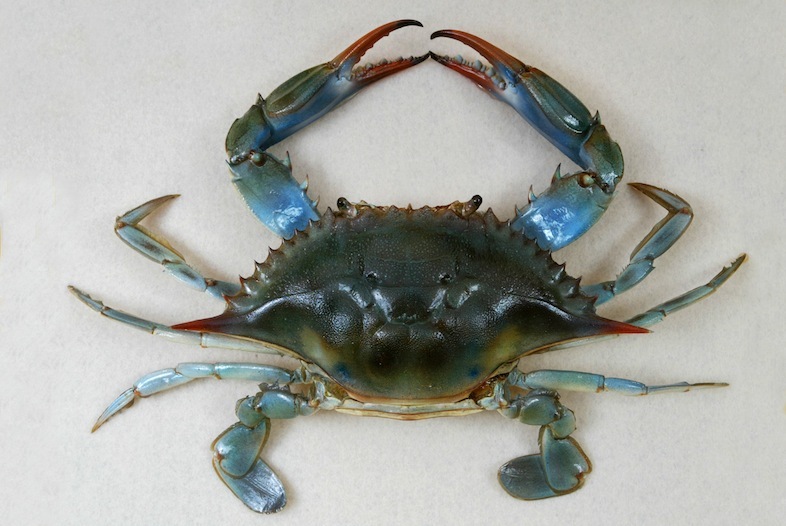 True crabs are decapod crustaceans of the infraorder Brachyura and are generally covered with a hard, thick exoskeleton, and are armed with a single pair of claws. 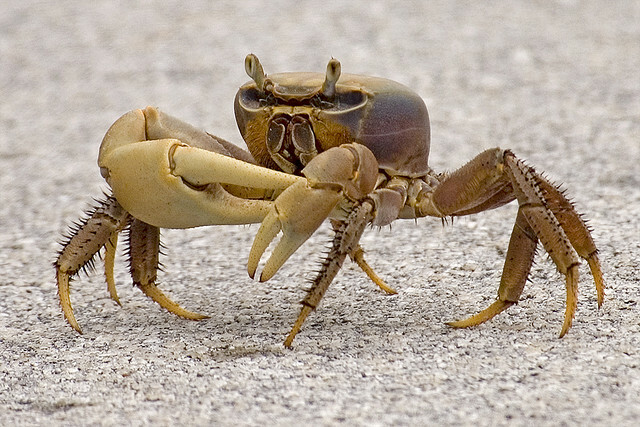 Decapod literally means "ten-Footed" and crabs generally walk on 8 legs and are armed with a single pair of claws. particularly in tropical regions, like St. Maarten. up to 4 meters or 13 feet. 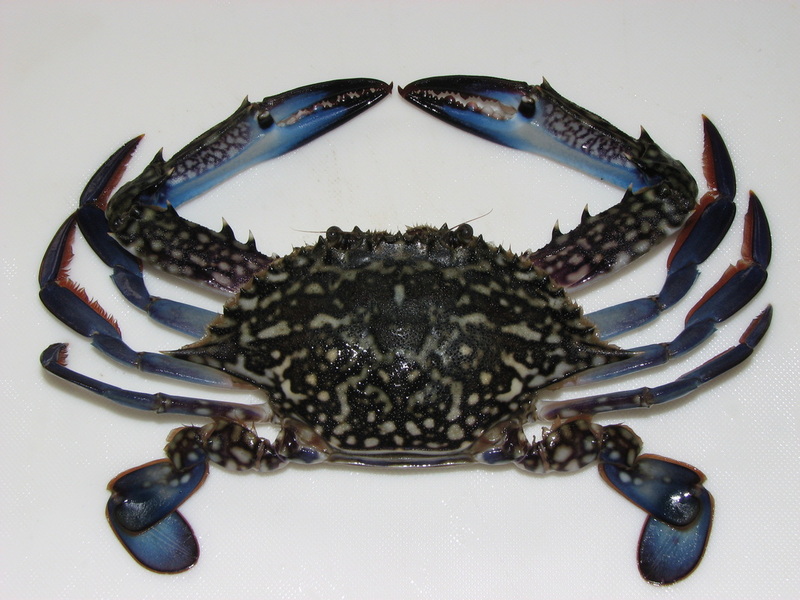 Cardisoma guanhumi are found locally and are called Land crabs, Pond crabs, Jueyes or Blue Land crabs. 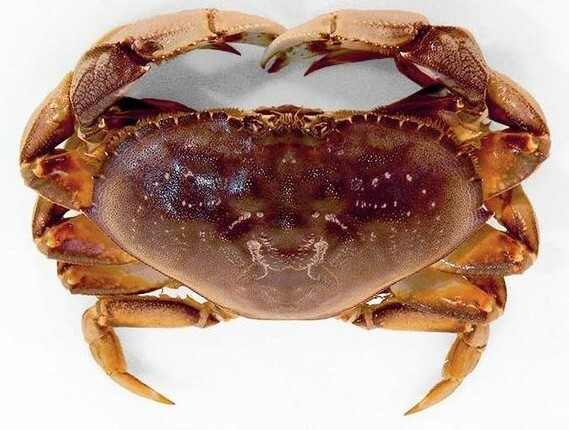 This species of terrestrial crab is found in tropical and subtropical estuaries and other maritime areas of land along the Atlantic coast of the Americas, from Brazil and Colombia, through the Caribbean, to the Bahamas, and as far north as Florida. 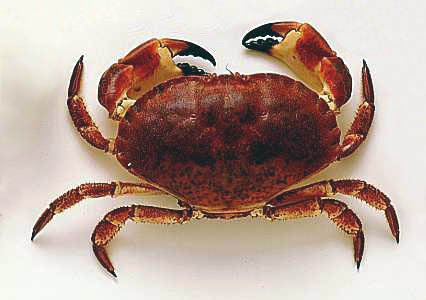 They are rather large crabs, growing to about four or five inches in diameter not including their formidable claws. They're the grayish-blue colored when mature and live in the network of holes found in low-lying areas near mangrove swamps, salt ponds, wetlands and marshes. During the day you may see them standing just outside a hole into which they will quickly descend as soon as they notice your approach. Hunting and trapping Land crabs for food is a part of Caribbean culture and probably has been so since the first human beings came here. Land crabs should always be purged before cooking them. Purging improves the crab's flavor and safety as it rids the crab of anything disgusting or poisonous the crab may have eaten. To purge the crab you must put it in a cage with plenty of ventilation and access to food and water for a few days. Feed the crabs such things as cornmeal, table scraps, coconut meat and vegetables. Keep the cage clean and periodically wet the crabs with water. do not belong in the infraorder Brachyura. Because of their large size and the taste of their meat, many species are widely caught and sold as food, the most common being the Red King crab, Paralithodes camtschaticus. St. Maarten Slang: Crab ; Someone clumsy and inept at physical activities and sports. as in, "That guy is a real crab, he could't catch a ball with a bucket." The most common Surimi product in the West is Imitation Crab meat. crab, abalone, shrimp, calamari, lobster and scallop. Most retail products are both fat-free and low in cholesterol and are often nutritionally enhanced with the inclusion of omega-3 oil. 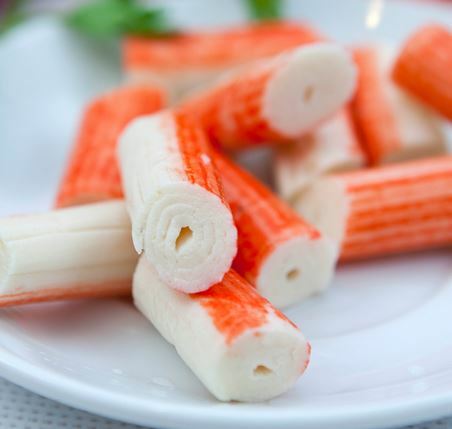 In manufacturing crab-flavored Surimi, shellfish flavors are added to give the food its recognizable character.